Samsung unveils Galaxy Note 8 PyeongChang 2018 Olympic Games Limited Edition smartphone announced in Korea. 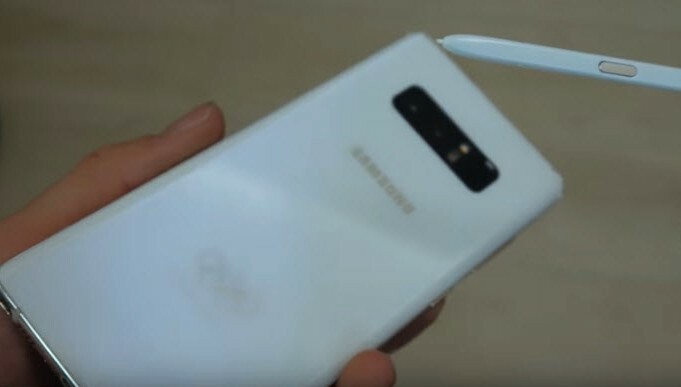 “Samsung said that it will deliver over 4,000 devices to all Olympians as well as the 2018 Olympic family, including IOC and POCOG staff allowing them to lean on Samsung mobile technology to enhance their experiences and connect more conveniently. 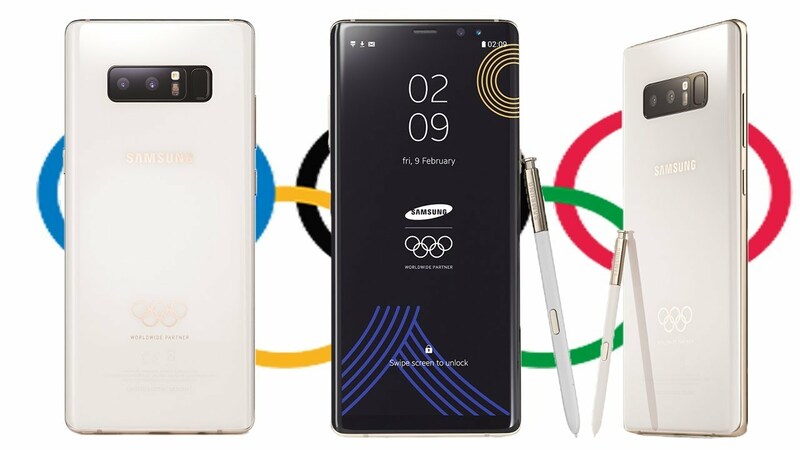 The Galaxy Note 8 Olympic Limited Edition phone looks a shiny white back panel with a golden five-ring Olympics logo. 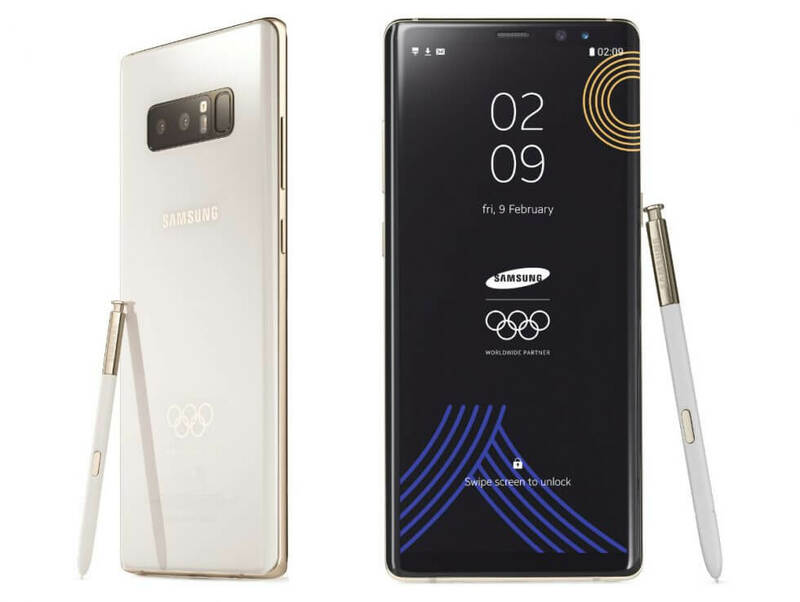 And, the Galaxy Note 8 Olympic Games 2018 Limited Edition will also rock golden finish of the phone’s rim, buttons. While, parts of the S Pen and come with same as Galaxy Note 8 2017 with 6.3-inch Quad HD+ (2960 × 1440 pixels) Super AMOLED Infinity display , Dual Pixel 12MP rear cameras and 8MP front camera comes with 6GB RAM also water and dust resistant (IP68) certified . Therefore, it also smartphone come pre-loaded with PyeongChang 2018 themed wallpapers and pre-installed with apps to help cultivate the utmost Olympic Games experience.